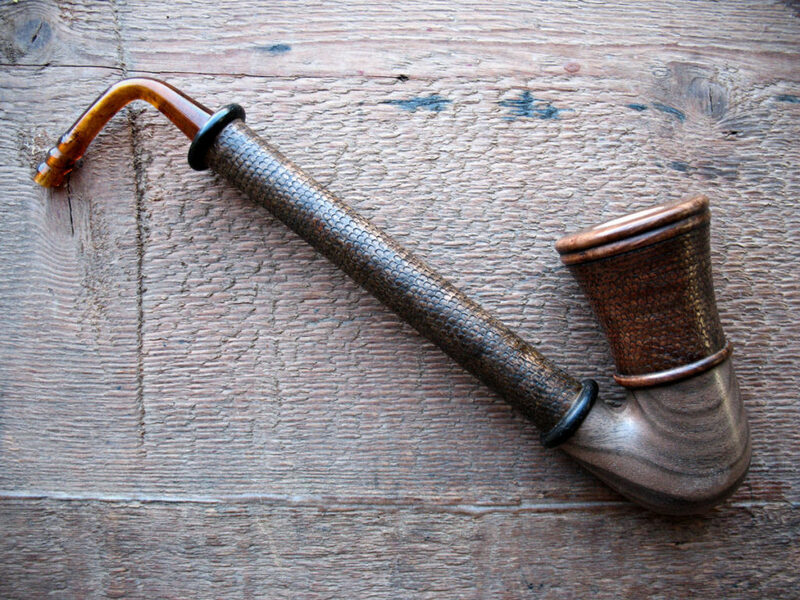 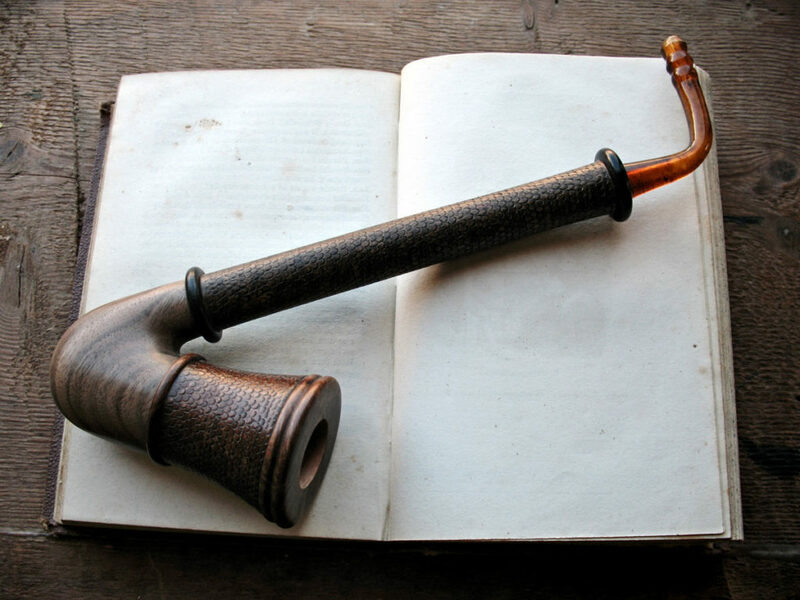 Inspired by the one seen in “The Hobbit” trilogy, this pipe is a reinterpretation of that belonged to the young dwarf Fili. 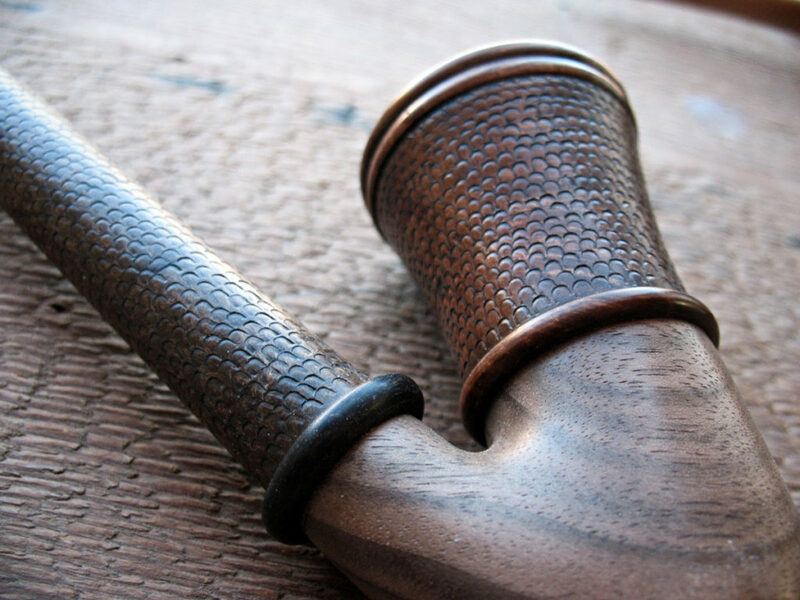 This model, which presents a shape similar to that of a saxophone, required a particularly long and painstaking work. 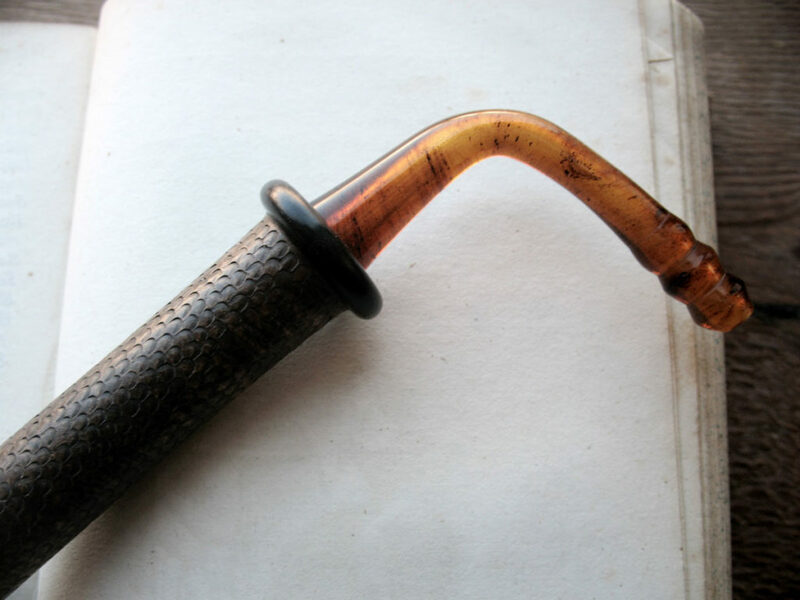 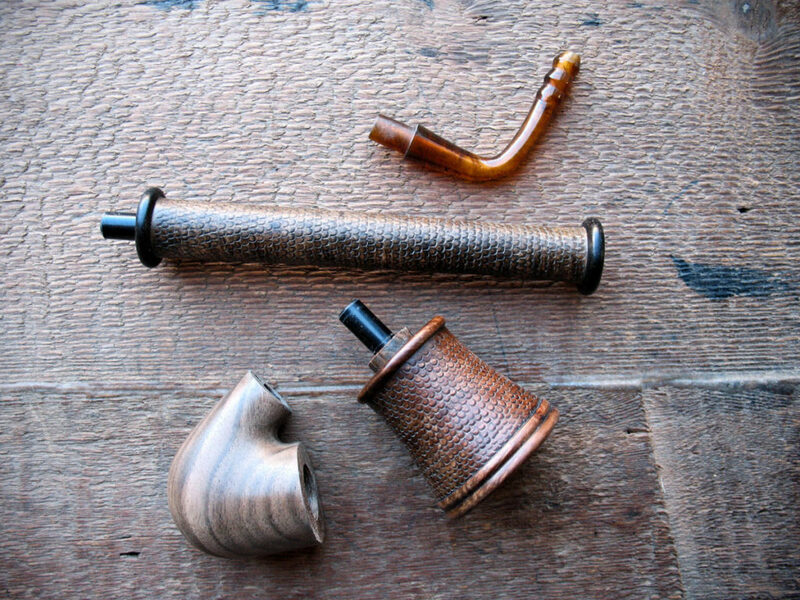 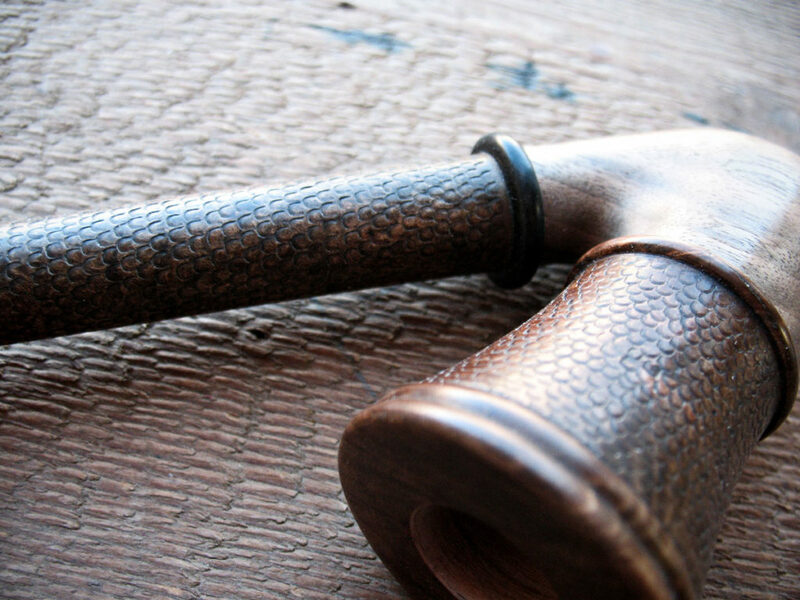 Dismountable into four pieces, this pipe is composed of a briar bowl and a briar stem with ebony rings, a walnut body connecting them with an elbow union, and an amber methacrylate mouthpiece. 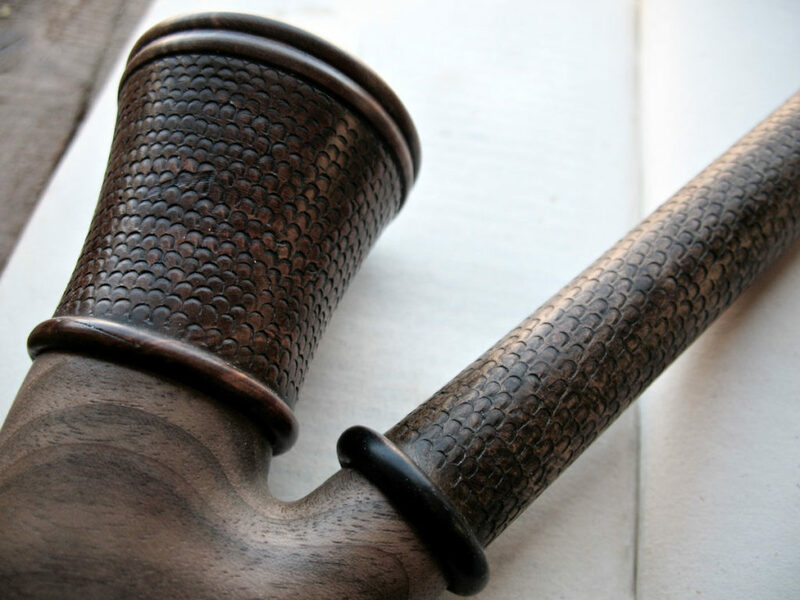 The dragon scale pattern decorating the bowl and the stem was made by hand carving the scales one by one.